Yesterday morning my dad woke me up around 7 AM so we could get ready and head to the color run. Although I was quite reluctant to wake up at first, he managed to convince me that it would be a worthwhile experience. 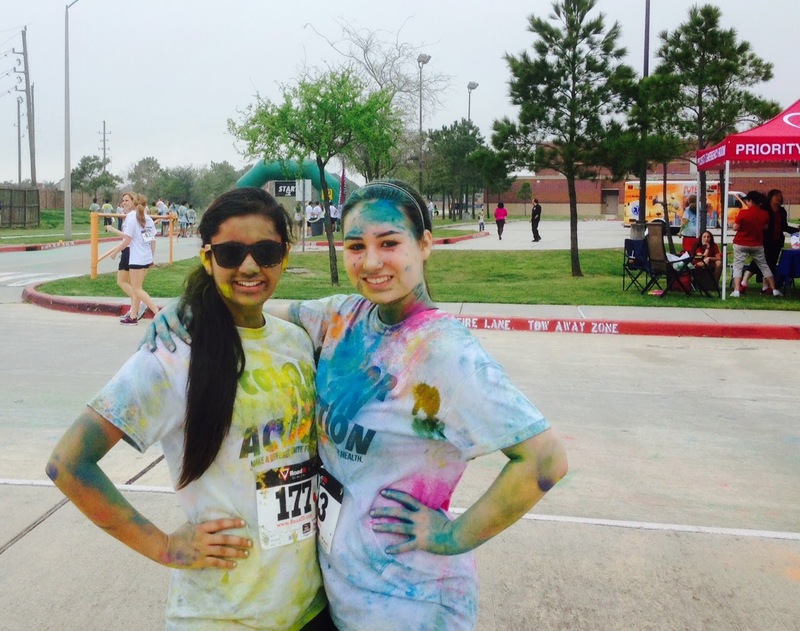 After getting to the color run, which was being held at Seven Lakes High School (My school! ), my excitement was elevated even more when I saw that so many of my friends were taking part in this endeavor for charity. The organization that was handling the color run was the “Unite for Health” club and all proceeds were going towards children who have cleft lip and are in need of surgery. 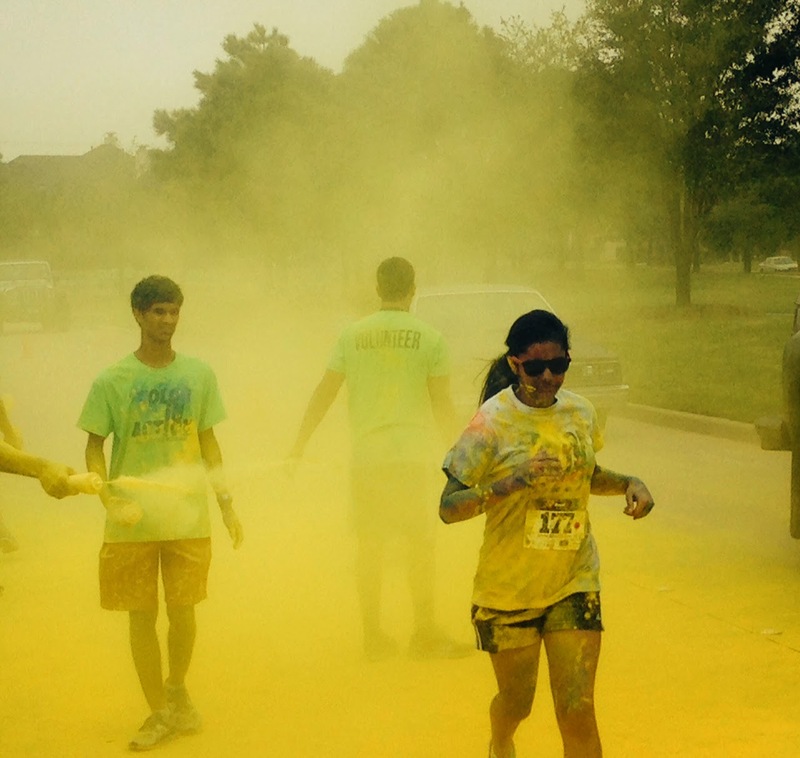 During the run, I jogged alongside my dad, and every half-mile there was a LARGE group of volunteers from the high school cheering us on and shooting us with a plethora of colors from red, to green, to yellow and orange. 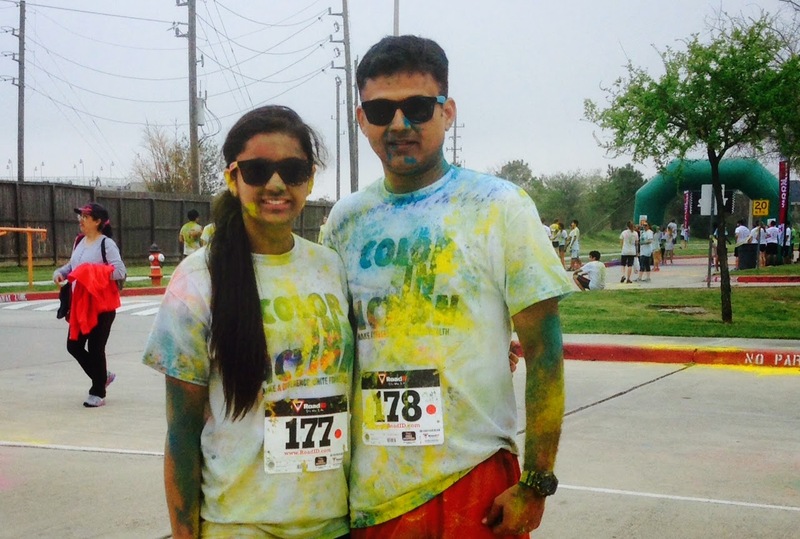 The part that surprised me the most was that this color run, which had more than 1000 participants, was originally inspired by our own Hindu festival of Holi. When we reached the halfway point, I was more than relieved. Since this was my first run EVER I got tired rather quickly and was ready to head to the finish line. Finally, as my dad and I reached the finish, everyone was cheering, throwing colors, playing music and having a good time. I’m so glad that I was able to wake up in the morning, be productive and actually complete a full 5K run. Afterwards, a few of my friends and I went to eat kolaches and donuts together for breakfast right before heading to the neighborhood water park for a morning full of fun.